Rogelio Nuñez, director of Casa De Proyecto Libertad , talks with a client at his office on Friday, July 13, 2018 in Harlingen. Proyecto Libertad has evolved from a Central American legal services project into a community-based organization dedicated to serving immigrant families living in the Rio Grande Valley. For years, most of the building’s rooms have sat unoccupied, but not empty. Filing cabinets line the walls and stacks of folders and books cover desks, drawers pushed open by overflowing paperwork — each document telling a story; each office once occupied by attorneys and paralegals who came to the Rio Grande Valley to work on immigration cases. A former doctoral student in sociology and university professor, Nuñez, 66, has served as the nonprofit’s director since 1999, dedicating his career outside of academia to helping migrants navigate the nation’s ever-changing immigration policy landscape. While the Valley remains a transitory place for migrants, an entryway into the United States and one of the many stops on their journey north, the San Benito native works with those who decide to plant roots here. Rogelio Nuñez director of Casa De Proyecto Libertad at his office on Friday, July 13, 2018 in Harlingen. 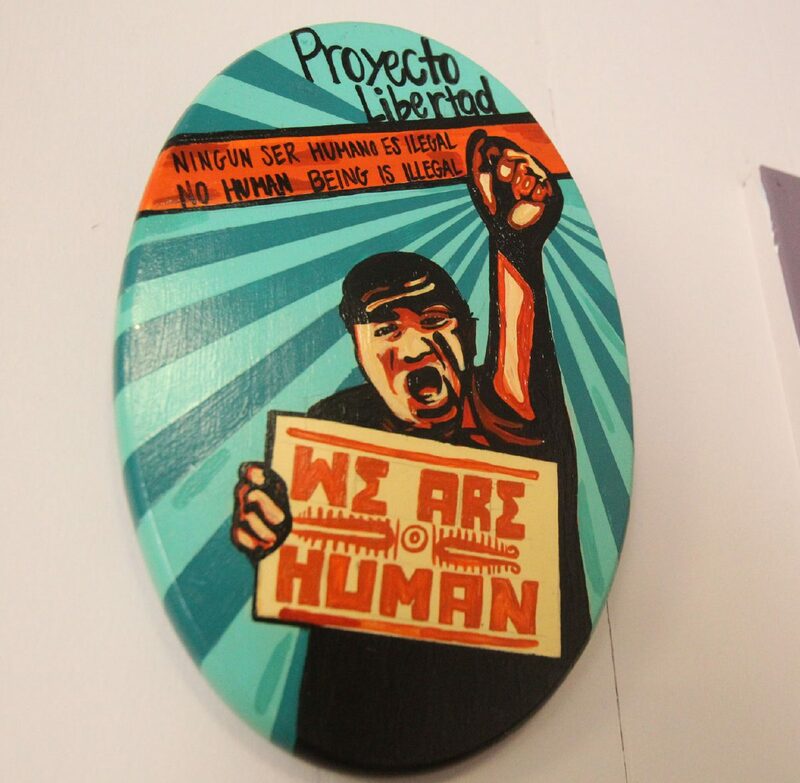 Casa de Proyecto Libertad was founded in 1981 to provide legal defense and advocacy for detained Central American immigrants seeking asylum in the United States. Rogelio T. Nunez is the Executive Director of Casa de Proyecto Libertad, a tax exempt organization that accepts donations. It is located at 113 N. 1st Street, Harlingen. 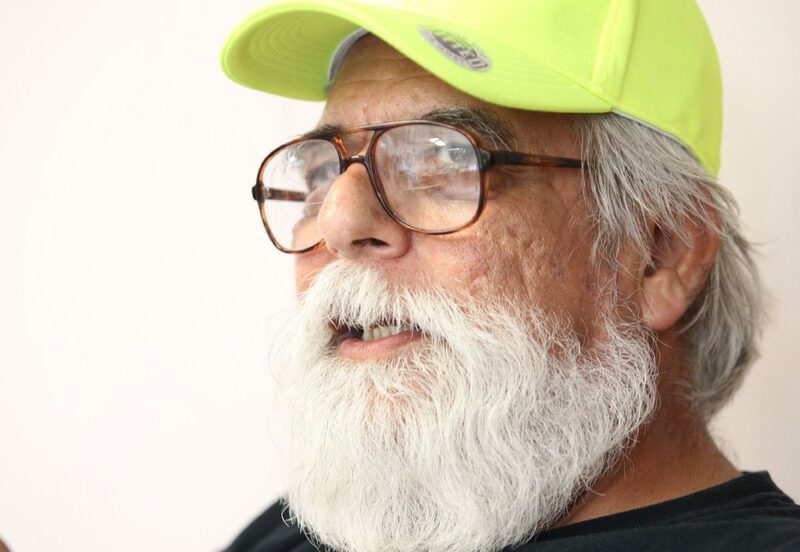 “The uniqueness of Proyecto Libertad is that it was born as a response to the need for legal defense and advocacy for Central Americans in detention,” said Rogelio Nuñez, who’s served as the organization’s executive director since 1990 on Friday, July 13, 2018 in Harlingen. 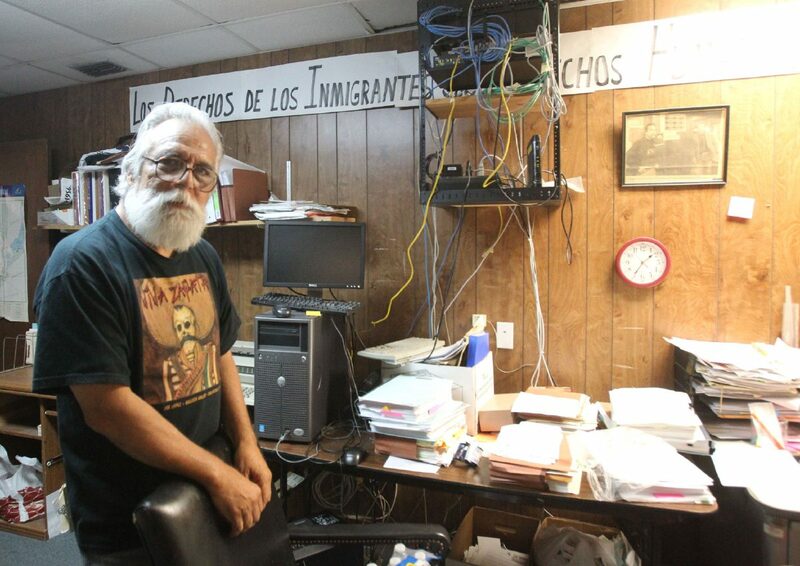 The Valley, Nuñez said, “has always been a detention zone” for both those who decide to leave and those who stay. Formed in July 1981, Proyecto Libertad first provided legal defense to Central Americans detained at the Port Isabel Service Processing Center, the detention facility that has captured the nation’s attention nearly four decades later. The center is one of the sites currently holding migrant parents separated from their young children after they were apprehended crossing the border illegally, driven north by the legacies of Central America’s civil wars of the 1980s which have given root to the region’s high rates of poverty and violence. In 2003, the nonprofit shifted its focus to providing legal services to immigrants who are not in detention, as well as supporting survivors of domestic abuse on this side of the border. Specifically, Nuñez helps undocumented women and their children, who are mostly from Mexico, apply for permanent residency and citizenship under the Violence Against Women Act (VAWA) and the U nonimmigrant status (U visa), among other laws. U visas, of which the federal government allocates only 10,000 annually, are for victims of certain crimes who endured mental or physical abuse. According to U.S. Citizenship and Immigration Services, those who qualify for U visas can aid in the investigation or prosecution of criminal activity. 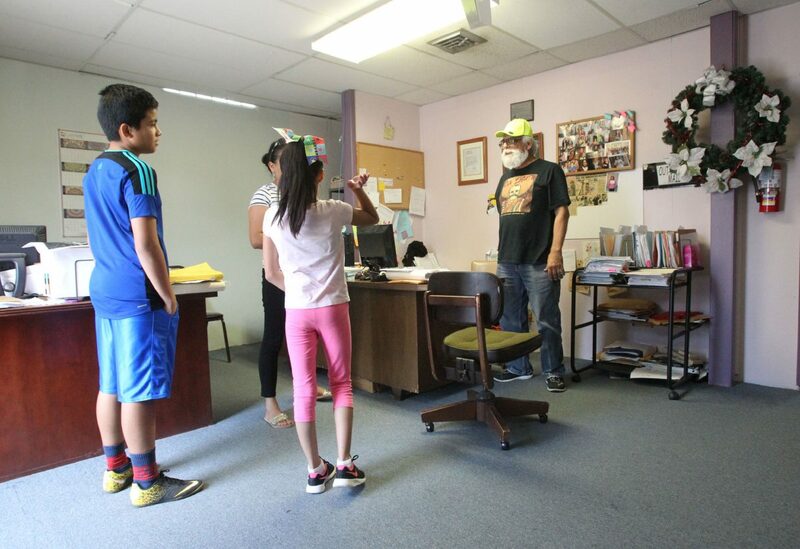 A woman and her two elementary school-aged children stopped by Proyecto Libertad’s office Friday afternoon to inquire in Spanish about the steps needed to apply for U.S. citizenship. “ What language does your mother scold you in?” Nuñez asked her daughter, who shly answered in fluent English that her mother uses Spanish. “And what language do you talk back to her in?” he followed up, to which she again responded Spanish. Nuñez explained to the mother, a lawful permanent resident who lives in Mercedes, that she needs to know sufficient English to be able to pass the citizenship exam. As the mother to two U.S.-born children, obtaining citizenship will shield her from deportation, which becomes a possibility if green card holders are convicted of certain crimes. Having already seen the Donald Trump administration put an end to Temporary Protected Status for Hondurans, Salvadorans and Haitians, Nuñez is well aware that other programs protecting immigrants from deportation could come to an end. “Clients are scared … It eats me up in a sense of what best can I do from the time I get here to the time that I leave,” he said, explaining that in the months leading up to the 2016 presidential election he began giving clients his cell phone number to ensure they could reach him. With a staff of four, counting himself, and a mounting caseload, Nuñez is constantly busy, facing a sobering reality. That year marks the end of the Mexican-American War, the negotiation of the current boundary between the countries and the beginning of securing the border, what “has always been a major piece of this country,” Nuñez said. VAWA, which found itself in jeopardy of nonrenewal in 2012, is up for reauthorization by Congress this year, and U visas will be reviewed by the Federal Sunset Commission in the coming years. His advice to other organizations doing similar work — such as the San Antonio-based legal services group RAICES, which raised $20 million in just a few weeks to post bonds for detained women separated from their children — is to develop long-term plans that include a mix of legal services with advocacy in order to protect the legal structures in place.